This is an Evolve IP quick tip video on how to perform a conference call. 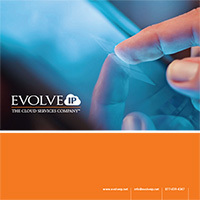 Using your Evolve IP phone, you can conference up to a total of four people. To perform a conference call, you can either first initiate the call or have a call come in. When the call comes in, you can either pick up your handset or select the “answer” soft key. Once the call is answered, you will want to select the “more” soft key and then select the “conference” option on your phone. This has been an Evolve IP quick tip video on how to perform a conference call.